According to the 2012 Pew Research Study, religious hostility has reached a six-year high. Over 60 countries worldwide have seen the level of social hostility rise to “high” or “very high” levels. 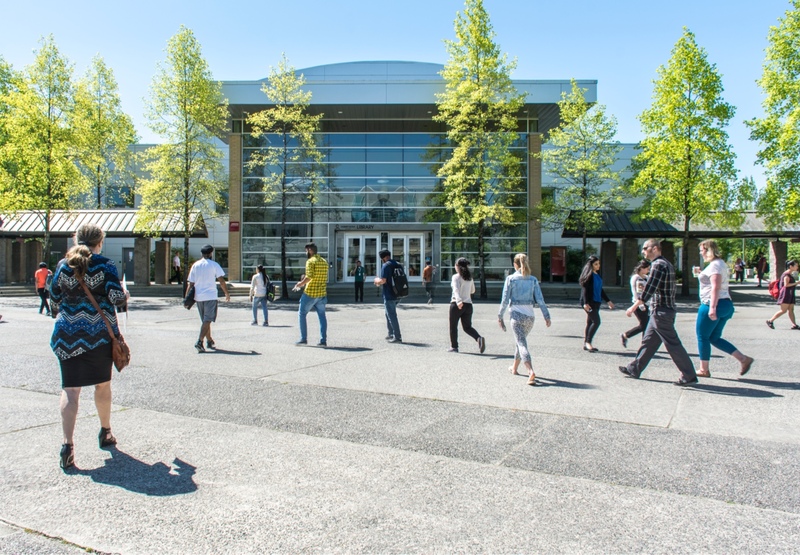 Kwantlen Polytechnic University (KPU) wants to be part of the solution. 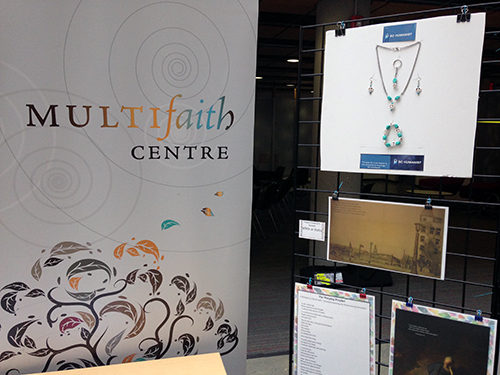 From February 5-7, 2019, in accordance with the United Nations World Interfaith and Harmony Week, KPU’s Multi-Faith Centre hosted its 5th-Annual World Interfaith Harmony Week Festival at both its Richmond, BC and Surrey, BC campuses. This year's theme - Would you be my Neighbour - encouraged us to better understand our neighbours and to be better neighbours. Submissions took the form of poetry, art, music, or other creative expressions. Screening of the documentary "Won't you be my Neighbour?" Submit your work to be entered into a prize draw! 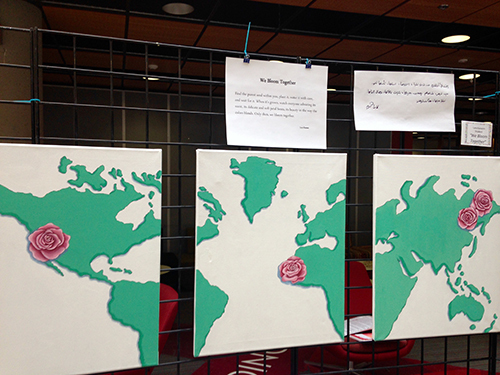 Submissions will be featured during the week at KPU Richmond and Surrey. Our call for submissions is now CLOSED. 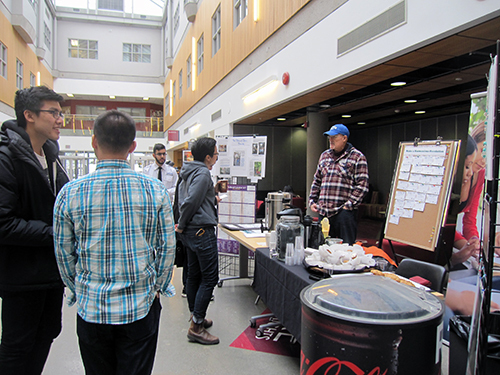 *All KPU student submissions will be entered into a draw for Tim Horton's gift cards! More info here. Dozens of multimedia submissions were complemented by a range of programming including a musical performance by the Compassionate Winds’ Susan Katz and Michel Vles; a panel discussion on inner harmony with guest speakers Rev. Gary Roosma (Christian Prayer), Babeeta Chhabra (Yoga and Meditation), Dr. Lorraine Bennington (Mindfulness) and Dr. Marty Shoemaker, Psychologist and Humanist Chaplain, (Science and Inner Harmony); and a talk on Syrian interfaith traditions and contemporary challenges delivered by Rahim Othman of the Syrian Canadian Council of BC. 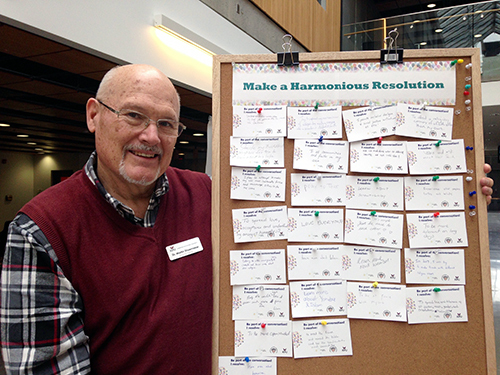 Additionally, the KPU community has been challenged to commit harmonious resolutions, to be completed over the calendar year, honoring the festival theme and engaging in learning about or dialoguing with a person from another faith or belief system. Pledges have included: Visit a different belief event; honor and pray for religious tolerance; promote social justice at KPU; and research ways for how to use technology to produce more understanding. Every year, the festival concludes with a ceremony in recognition of all who participated. My experience with the UN Interfaith Harmony Week has been inspiring and splendid. I wish I knew about the Interfaith Harmony Week a couple of years ago so I could have taken part in many events in the community. I was very satisfied with the outcome because I met many individuals with different worldviews than my own. I find that interfaith events give individuals an opportunity to learn and expose themselves to worldviews that are different than their own. This is a great opportunity to ask questions, socialize, build friendships, and network with individuals regardless of gender, age ethnicity, religion and sexual orientation. I look forward to attending various interfaith events in the future during Interfaith Harmony Week in the years to come! UN World Interfaith Harmony Week at KPU would not be possible without generous support from the KPU President's Diversity and Equity Committee.